This is the second email scam mimicking a Quickbooks notification that MailGuard has detected today. As you can see in the screenshot above, the message is meant to look like an invoice notification message. Although this scams looks superficially similar to the one from earlier today, the sender addresses and underlying mechanisms of this attack are actually quite different. 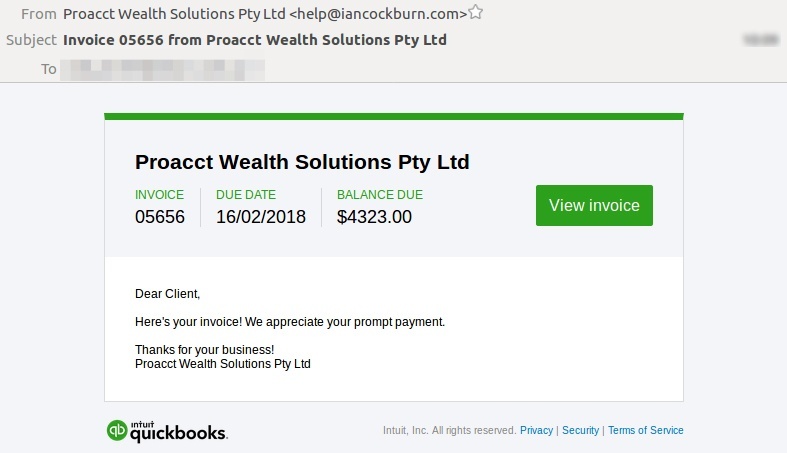 MailGuard has detected a criminal-intent email designed to look like a Quickbooks invoice notification. 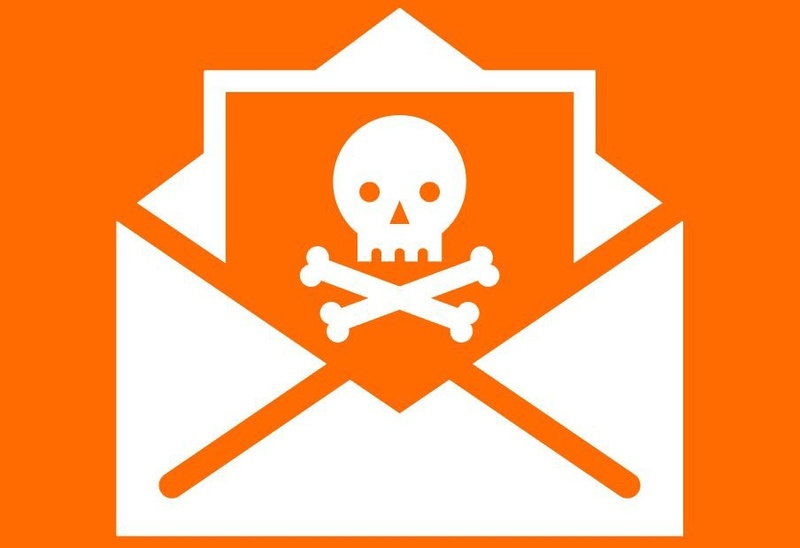 The objective of this email scam is to get the recipient to click on a link in the email that would take them to an archived file containing malware. 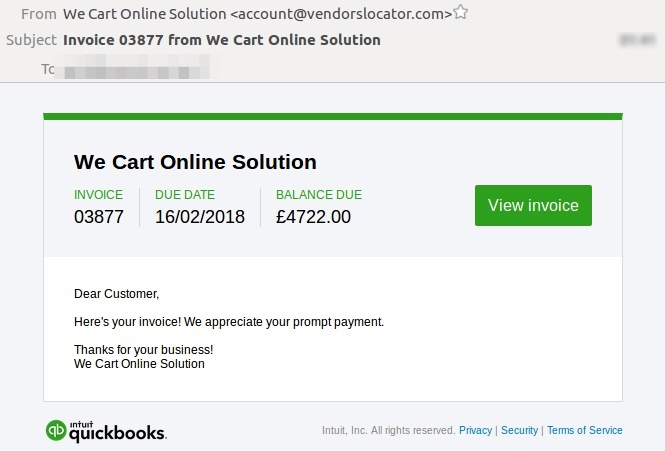 This morning MailGuard detected a very large batch of scam emails with fake invoice links. The scam emails we picked up today are linking to fake invoices with a variety of branding including ‘Russian Accent,’ ‘Capital Kitchen,’ ‘Allband Antennas,’ and many others.